Von Miller Madden commercial features about 15 Von Millers channeling Justin Bieber - Denverite, the Denver site! EA Sports released one of its commercials for Madden, the popular NFL video game, and it features copious amounts of Von Miller. Aug. 18, 2016, 10:23 a.m. The Denver Broncos star pass rusher, singing and gleefully dancing to a parody of Justin Bieber’s “Sorry,” implores viewers to play with him in Madden when the game comes out. 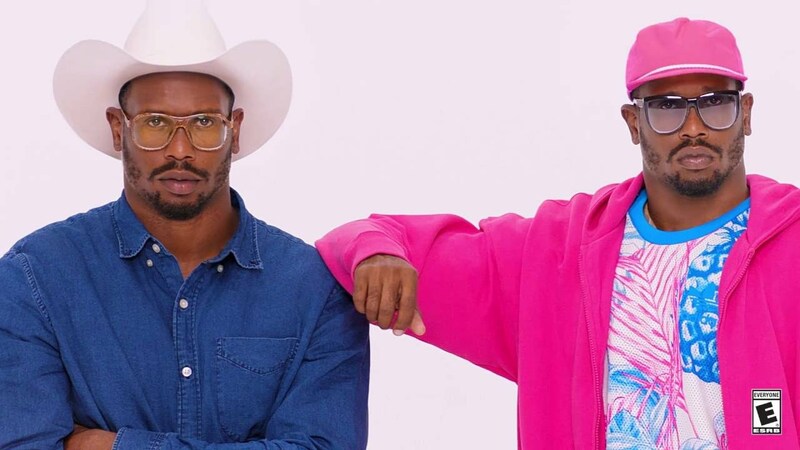 At one point, six different Millers appear on-screen wearing cowboy boots, pink sneakers, a bolo tie, Converse and MC Hammer-esque parachute pants, among other items of clothing. Miller, a 99, is the highest-rated player in the game. Denver cornerbacks Chris Harris Jr. (93) and Aqib Talib (90) were the only other Broncos players to earn ratings 90 or above. Madden hits shelves Tuesday. Real-life football begins Sept. 8, when Denver takes on Carolina at home in a Super Bowl rematch.